Got your ticket for the Chinwag Psych, May 9 event yet? If you don’t want to miss out, you can grab yours here and get ready to find out about how machine learning, psychology and neuroscience can change the way you conduct business for the better. 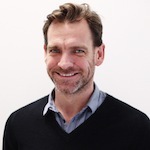 One of our must-see speakers is Simon White, European Planning Chief at DraftFCB. He will be sharing his expertise around decision making with a focus on keeping things clear. According to White, there’s a host of marketing models that people are taught at university or as they work. He says that behavioural economics is saying that those models are wrong, which might be a good thing, but it does not provide a replacement or alternative solutions that are easy to implement. So how can employing a psychologist help with this situation? White says that is might help, but in fact agencies might be able to provide a more convenient answer. DraftFCB has this ace up its sleeve already in the form of the Institute of Decision Making, which was created specifically to work with academics. So when it comes to working out behavioural economics, irrational behaviours and assembling disparate information, how can an agency best present this to a client? Ensuring a team is reading from the same hymn sheet is important and one of the best ways to do this is to show lots of ads and models and explain which ones will work and why, backing this up with hard sales figures as evidence. It’s clear from White’s own experience using psychological research that there are benefits for those who work in marketing and advertising. But he believes that there is room for companies to look as closely at themselves as they do at their customers. Find out more about White’s work and the rest of our fantastic range of speakers at the Chinwag Psych event on May 9. // To grab your ticket to Chinwag Psych click here. Photo (cc) James Vaughan on Flickr.